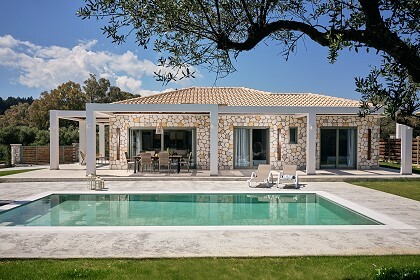 Maridenia Villa is a unique holiday accommodation in the area of Lithakia village, surrounded by olive groves and located near the resort of Laganas Bay. 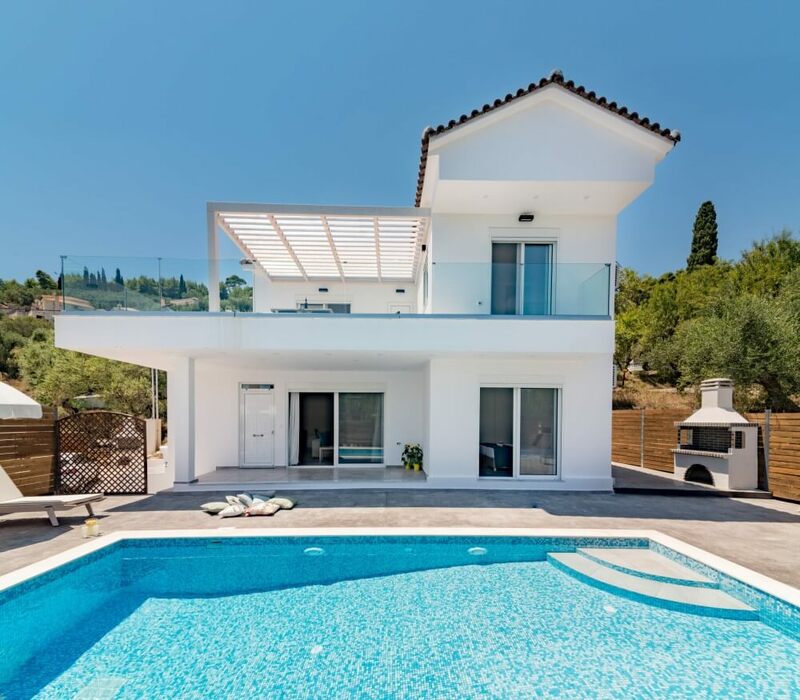 The villa features a stylish design, modern amenities, spacious rooms, close proximity (5 km) to the world-renowned resort, as well as a magnificent swimming pool, complete with sunbeds and parasols! 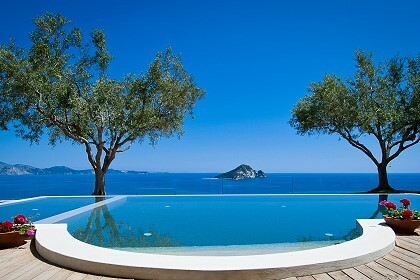 Maridenia Villa measures 110 square meters and can easily accommodate up to 6 guests. It offers three bedrooms and two bathrooms in total. On the ground floor, the guests will find the stylishly decorated living room, the dining area and the fully equipped kitchen. One bedroom is located on this floor; it has access to the swimming pool, is equipped with two single beds that can be combined into a queen-sized one, and has a bathroom with a shower. On the first floor, the guests will find the other two bedrooms, which feature a queen-sized bed and two single ones, respectively. They both have access to a bathroom with a shower and to a furnished balcony with a view of the swimming pool.The outdoor spaces are private, furnished and relaxing. 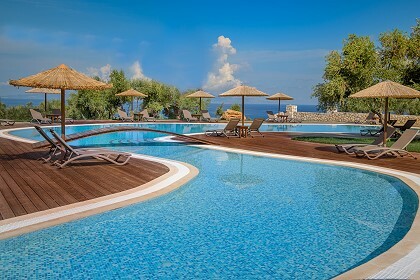 They feature a built BBQ and a spectacular swimming pool – it is the perfect place to unwind and to enjoy a cocktail in the sunset! Maridenia Villa offers, among many others, private parking, bathroom products, hair dryer, welcome basket, microwave, free WiFi in all rooms, 24-hour hot water, and many more. 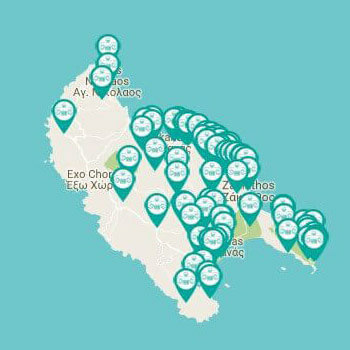 Other extra services such as car, motorcycle and bicycle rentals, boat trips and transportation to and from the Zakynthos Airport and/or port, can be arranged upon request. 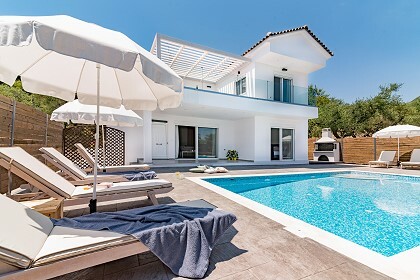 Maridenia Villa is located in the area of Lithakia, a village near the world-famous resort of Laganas and the beach of Agios Sostis; in both locations the guests can find numerous restaurants, bars, shops and activities. Additionally, the villa is near a mini market, a coffee shop and a restaurant.